Two dealerships carrying the name of professional race car driver Dale Earnhardt Jr. have opened in Tallahassee, Florida. The stores, named Dale Earnhardt Jr. Chevrolet and Dale Earnhardt Jr. Buick GMC Cadillac, officially opened their doors on Monday after an acquisition from previous owner Larry Strom was finalized over the weekend. 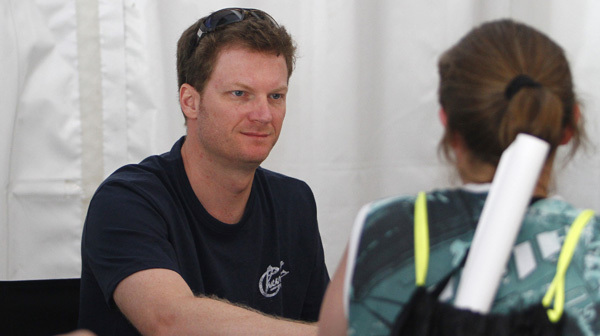 Earnhardt Jr. owns the stores in a partnership with Hendrick Automotive Group headed by Hendrick Automotive Group Chairman and Owner Rick Hendrick. Both locations will be operated by Hendrick Automotive. According to Earnhardt Jr., the acquisition of the two dealerships was a long-time coming: “This is something Rick and I have talked about doing ever since I came to Hendrick Motorsports, but we agreed it had to be the right situation”, said Earnhardt Jr., who drives the No. 88 Diet Mountain Dew/National Guard Chevrolet (ahem, tube-frame car not related to any production model) for Hendrick Motorsports in the NASCAR Sprint Cup Series. The dealerships are a first in the Tallahassee market for Hendrick Automotive Group, which operates 84 dealerships across the United States, including the two new Earnhardt locations. Both stores will undergo renovations, no doubt similar to the ones being conducted by GM nationwide, to modernize their appearance and amenities. The two dealerships will employ more than 175 people combined and job opportunities are currently available at the Hendrick Auto careers website.